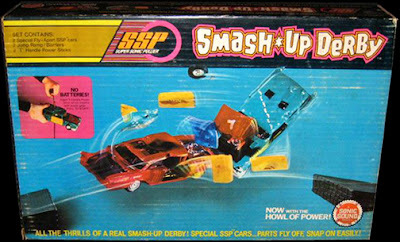 Here's a classic retro toy I fondly remember having as a kid. 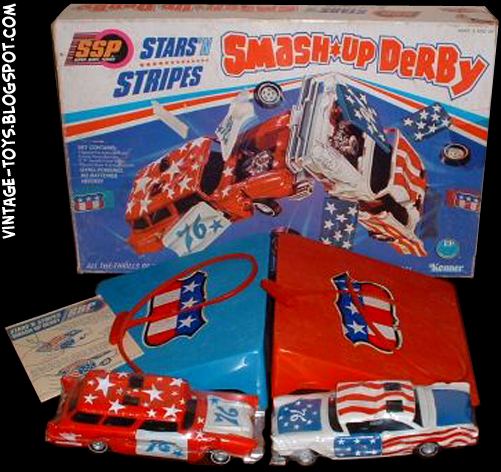 It's the SSP SMASH-UP DERBY SET made by Kenner in the 70's. 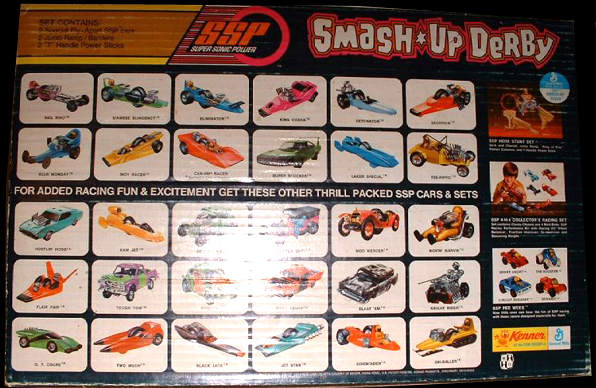 First I remember having a simple SSP Race Car. It had a rip-cord you could pull to make a gyro-wheel spin, you set it down & away it goes. 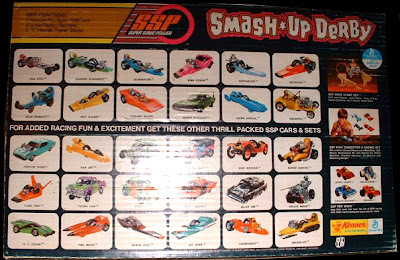 These have become extremely collectible for a few reasons: They're hard-to-find, they made many different versions, everybody has great memories of playing with them, & they're cool! Later, Kenner made a toy set that consisted of 2 Smash-Up Derby Cars & some accessories. Usually a set of ramps. The goal was to get the car to fly off the ramps & hit in mid-air...awesome! 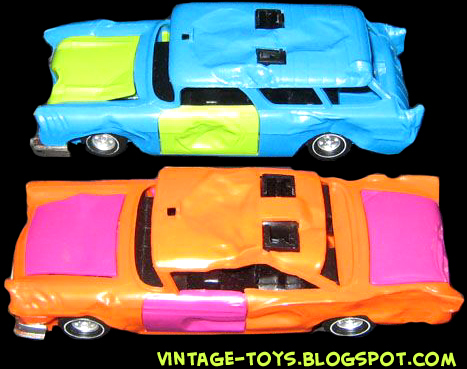 Kenner made many different variations with just a few shown up above. 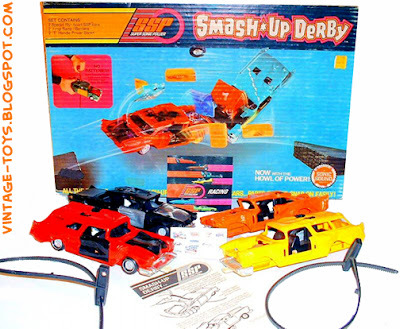 Also, down below, is a really cool retro 70's TV Toy Commercial for this toy, check it out!! 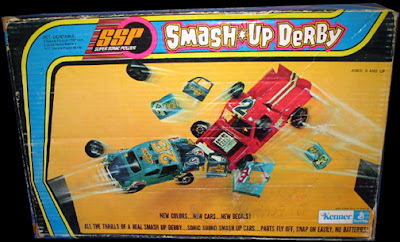 Ad: A Great Place To Buy Toys & Action Figures!